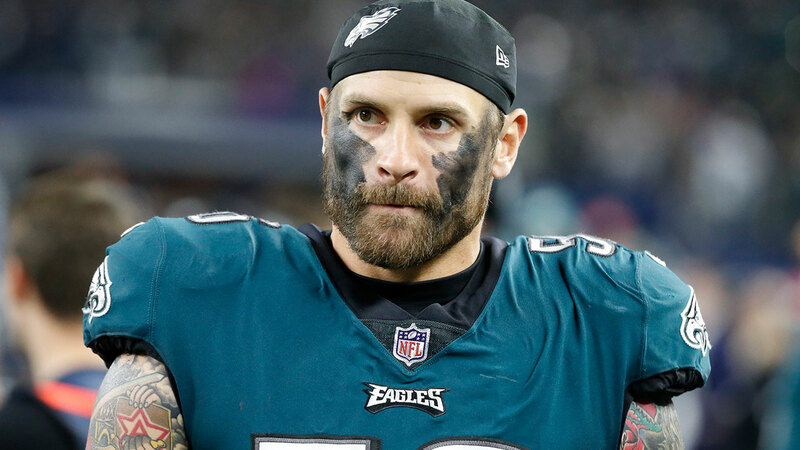 PHILADELPHIA (WPVI) -- Last season Philadelphia Eagles defensive end Chris Long donated his entire 16 game regular season salary to charity. Well, it now appears that he's being rewarded for the good karma, and helping the team to its first championship. According to ESPN's Field Yates, sources say the Eagles reworked Long's contract, guaranteeing him $3 million this season. His base salary jumped from $1 million non-guaranteed to $2.5 million guaranteed, with the elimination of his $750,000 in per-game roster bonuses and $750,000 in incentives. However, NFL Network's Michael Silver reports that the 32-year-old defensive end has yet to accept the revised contract as he decides whether or not to retire. Last month Long was awarded the Whizzer White Community MVP by the NFL Players Association. The NFLPA gives the award to a player "for his profound dedication to positively impacting his team city, and communities across the country, in the spirit of the former Supreme Court justice." Long donated six of his game checks this season to funding a scholarship program at St. Anne's-Belfield School, where he attended high school in Charlottesville, Virginia. He then donated his last 10 game checks to programs that support educational equality in the three cities where he's played so far: Philadelphia, Boston and St. Louis. Through the "Pledge 10 for Tomorrow" campaign, he was able to match his own charitable contribution by raising another $1.3 million in donations. Chris Long recognized by Obama in what's 'best about America' tweet. Jamie Apody reports during Action News at 5 p.m. on December 29, 2017.